The other use for Shop Vac, a bubble machine! I travel to the USA several times a year – to go camping, sightseeing, and of course shopping! Many of us do. And when we go we take our mobile phones with us. But even though using your Canadian mobile phone in the USA is as easy as it is when you’re on home soil; the price of doing so can be quite shocking! So as I plan my next trip the USA it was quite a nice coincidence that Mobile Syrup published an article about a new promotion from Roam Mobility. This got me thinking about some of the alternatives we have to the obvious choices and what I should do on my next trip south. We have three obvious choices: do nothing; turn-off the phone; and buy a travel bundle. By doing nothing you’re basically calculating that you won’t need your phone much and if you use it you’re just going to pay what it cost and that’s it. Hopefully you’re right. Or maybe you’re one of those idiots who streams YouTube to get to sleep at night and didn’t realise the phone companies were going to make you pay for the service you used. Ah yes, the glory days, when only truckers, cops, and taxis had radios. The rest of us planned our days ahead of time, organized rendez-vous points, and inflicted the last to arrive with a stern “Where the hell were you!? We’ve been waiting like for-e-v-e-r for you!” As warm and fuzzy as nostalgia is in our minds the reality is we’re not going back there. This one’s a toughy! Is the travel bundle worth it? Are you going to use that many minutes or messages? Would it be cheaper to Do Nothing? What if you go over? This is essentially what I did a few a years ago and then decided the next year I would do nothing – which worked out well the first year but came out even the year after. These are the choices the Canadian telcos have presented us with. Enter the alternatives! In the USA there are many more mobile phone providers than we have here, most are MVNO’s (Mobile Virtual Network Operators) who run on one of the Big Networks (AT&T, Verizon, Sprint, T-Mobile, etc.). Provided you’re only there for a short period (a few days to a couple weeks) you can get some pretty amazing deals! There are also some Canadian and international MVNO’s that sell service to travelers to the USA. 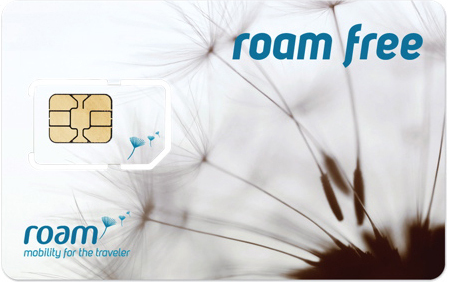 In fact, what got me going was the Canadian company Roam Mobility and their SIM Swap promotion. Using your existing device requires it to be unlocked. This can cost anywhere from $5 to upwards of $50 depending on the device and whether you go through your carrier or a third-party. If you use your existing device and swap SIM cards then your existing line (voice and messages) go into limbo. Your calls will go to voice mail (assuming you have) and your SMS messages will pile-up in your inbox. Of course voice mails you can check from another line but text messages you generally can’t. You will have to let people know what your new US number is if you expect them to call you. You could forward your Canadian number to your US number but you’ll probably pay extra for the forwarding service (by the minute or for the month) and the long-distance charge. Consider too if you’ll only be making calls to US numbers, or if you’ll be calling home egularly too. And how often you’ll be using the plan since some have relatively short (i.e. : 30 days) expiry limits. There are a lot of alternatives really, depending on your requirements and objectives. I’ve mentioned Fongo here, and will again later, because they offer number portability, true phone service with SMS, and their basic service is FREE. But there’s no reason to ignore popular messaging services like Google Talk/Hangouts, LINE, Viber or even BBM if those suit your needs. There’s also providers from comWave to Vonage to Voip.ms to consider. And nothing wrong with the grand-daddy of them all: Skype! All of these could be factored into the mix here, but that’s another article! There are far too many choices in the USA to compare them all here, and finding them isn’t always easy either. Pay-as-you-go and Pay-per-day plans are getting rarer and rarer it seems. Some aren’t even officially listed anymore! This is their prepaid service and they have a variety of smartphone and basic plans, but the one I’ll focus on are the $2/day unlimited minutes & messages that is only charged when you use it. They have two flavours of pre-paid service: for $3 a day (on the days you use it) you get unlimited minutes and messages and unlimited data with first 200MB on 4G (and the rest on 2G); for $2 a day you get the same all-you-can-eat buffet but you’re stuck on 2G the whole time. A Canadian company reselling T-Mobile with a twist: $4/day gets you unlimited talk & text in the US and to Canada and 100MB on 4G; while for $3/day you loose the data but keep the unlimited talk & texting. The biggest difference between these three plans is that AT&T and T-Mobile expire after 30-days whereas Roam Mobility keeps your account active for a whole year. Another difference is that AT&T seems to require the purchase of a GoPhone whereas T-Mobile and Roam offer SIM cards (allowing you to bring your current device). So here’s some cold hard numbers to compare, taking into account the considerations I mentioned earlier. To start with let’s see The Obvious Choices. According to Bell’s web site you’ll pay $1.45 minute and 75c per text message, data will clock in at $6 per megabyte. If you’re calling some one you’re travelling with then they’re probably paying as well. Again with Bell, For the $50 Travel Bundle you’ll get 50 minutes, 50 MB, and 200 text messages. Beyond that you’ll pay 50c a minute, $1 per megabyte, and 25c a message. Before pricing The Alternatives there’s a few things to consider. Some are one time costs but you still need to pay them so they’re worth considering. Unlocking: Approximately $40 so you can use another network’s SIM card in your phone. SIM card: For $10 to $20 you get a US SIM card with a US network. If you’re going to forward your Canadian number to your new US number so friends can keep calling you there’s a couple more costs to consider too. Call Forwarding: For $5 a month (with Bell) you can forward your Canadian number to your new US number. US Long Distance: For $35 a month all that forwarding to a US number is covered. On top of that you have the daily rates as detailed in previous section. So for example, if you take the Roam Mobility $4/day plan for seven days that’s $28. Add that to all the other charges here and it’s $128 the first time you use their service!!! Admittedly that drops to $68 the next time you use it. And you can easily chop $40 off the top if you avoid forwarding your number to drop down to the promised $28. Here’s a table comparing some of the choices. To alleviate the issue of having to leave your Canadian number at home and missing out on all those calls and text messages from home here’s a couple ideas. Fongo, previously Dell Voice, is a Canadian VoIP service with apps for Android, iPhone and a home phone service. If you get one of the aforementioned plans with sufficient data (100MB = 200 minutes) you could forward your Canadian number to your Canadian Fongo number and use their app on your phone to receive and make calls home. They charge $3/month for outgoing Canadian & US text messages though, and you’d have to find a way to forward your text messages to your Fongo number. You could get a Dual-SIM phone so you could still receive calls and text messages on your Canadian number, but instead of answering you would call back using your US number (assuming the plan you choose includes free or low-cost calls back to Canada). There are other alternatives to Fongo, like ePhone from comWave. If you really want to set yourself up to roam then one solution would be to simply get a data-only (or tablet) plan and use a VoIP service (like Fongo, or Google Voice if they ever come to Canada – c’mon Google!!!) for calls and messages. When you travel to the States pick-up something like the T-Mobile $3-a-day plan and keep using your VoIP service to make & receive calls to Canada. This way there’s no difference for your friends back home who can always reach you at the same number and convoluted forwarding to avoid missing calls. Bell, Rogers, and Telus all offer flexible data plans so the month you’re travelling (and paying for a US service) you would probably be billed less for your Canadian service. Just be wary of the 30-day expiry on many US offerings.